Dinner: sunday tru thursday: 5pm to 10pm. Friday-Saturday: 5pm to 11 pm. Second time eat hear just as good as I remembered,love everything about it. Caprice Bistro is a favorite of ours. We make a point of dining here every trip we make to Wilmington. It never disappoints! 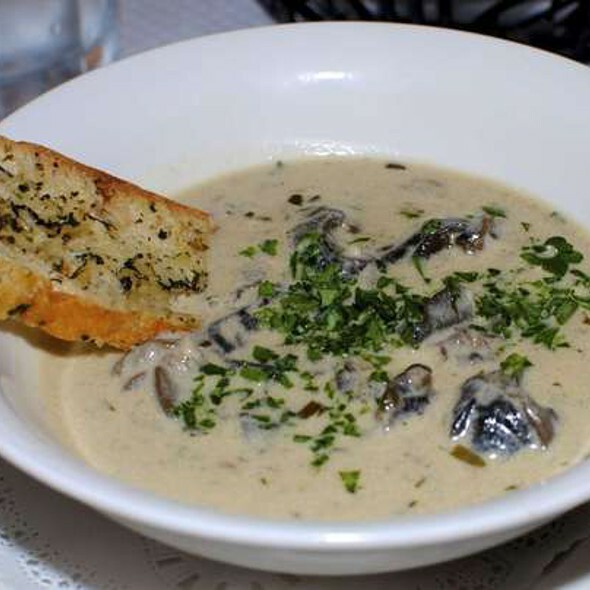 A favorite is one of the 3 varieties of mussels followed by one of their signature dishes, Waterzooi. The service is outstanding! Wonder food, excellent service, lovely atmosphere. Always enjoy the Bistro. Good food good service and great ambiance. It wouldn’t be Easter Sunday if we didn’t take Mom to one of our favorite French restaurants. 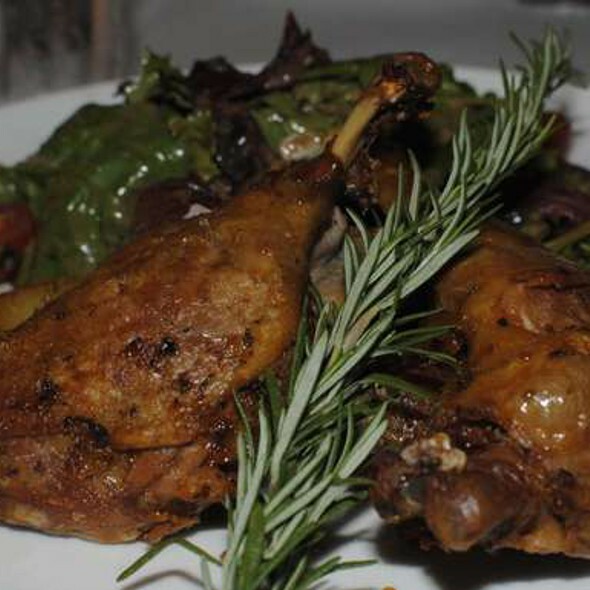 Caprice Bistro is a small downtown gem that serves excellent food with a wide variety of great wines. 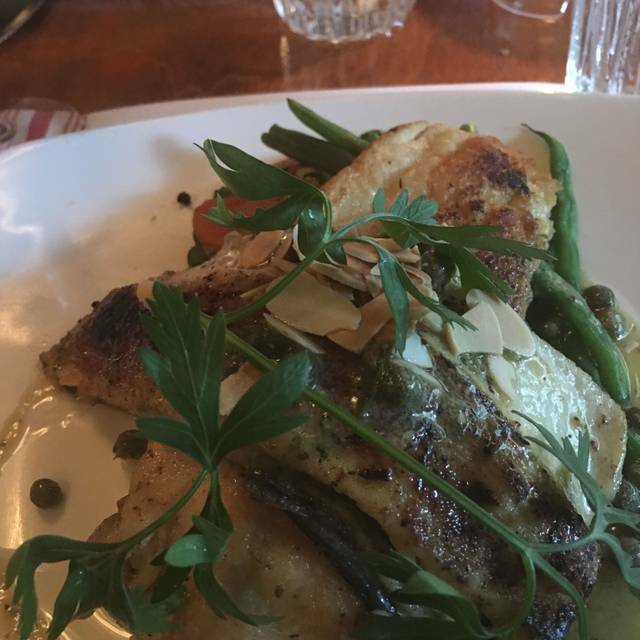 If you try only one dish, please try the trout - delicious! 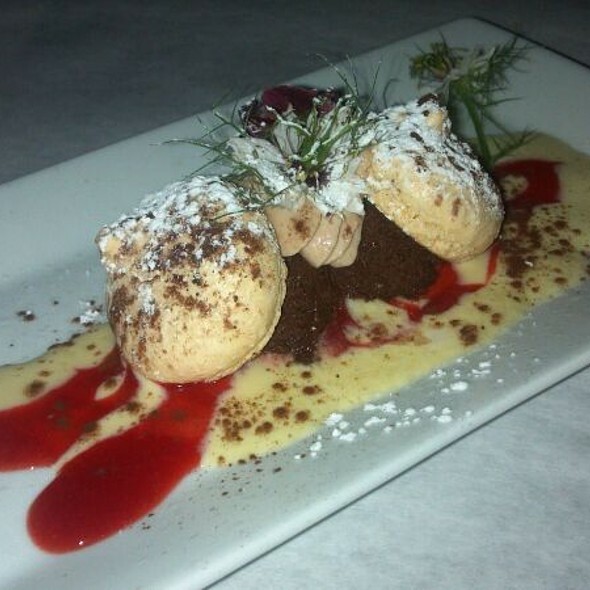 Top your meal off with a chocolate dessert and you will leave completely satisfied. Have been to Caprice three times, and it has been a consistently delicious and most pleasant experience. Arugula salad full of balanced flavors and the mussels w/ fries slay! Fantastic food and service! Highly recommend. Caprice Bistro is an excellent restaurant. I had a hearty pea soup as my appetizer and had the large portion of mussels as my entree. 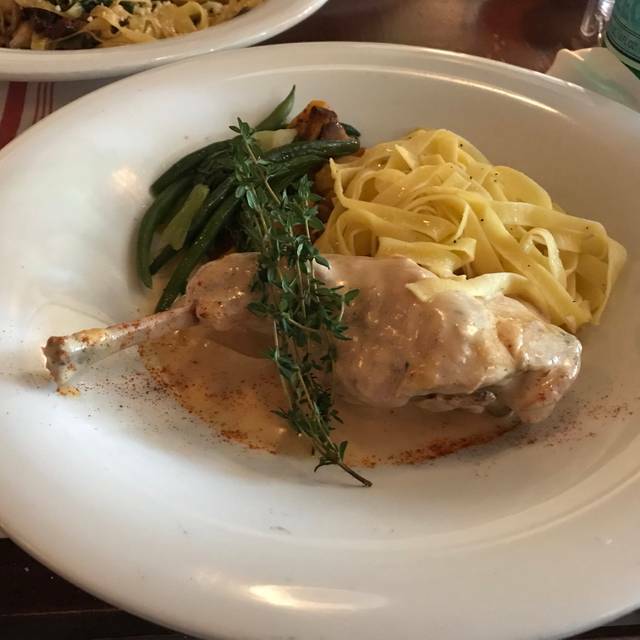 My wife had their Wednesday special which was rabbit. Both were outstanding. I highly recommend Caprice Bistro. Best food I've had in North Carolina, nothing more to say. Party of four. Three had no issues with their food. My French onion soup had no visible broth. All the soup was soaked up by the bread. I am used to seeing and drinking some soup on its own. No one else ordered it so only affected me. The real surprise was the cassoulet. I have eaten this in numerous establishments throughout the U.S and Europe. This version was with lamb shank. Never had it before so I thought I would try it. When the lamb shank arrived whole, I was surprised because I had assumed the lamb meat would have been cut off and mixed in the stew. I should have realized my error when the server (who was very good) brought me a heavy duty knife. The meat was very stringy and with more fat than I prefer. I really tried to make it work and cut around the tendons and cut off the fat but frankly after I while I just gave up. My preference is meat already in the casserole and my job is simply to eat what has been presented without a lot of work on my part. On the other hand, my son cut all the meat, tendons and fat and mixed it into the stew himself. He liked it. I did not. My own fault I realize, but I cannot in good conscience recommend this variety of cassoulet. Nor the French onion soup. Again, three other people loved their meals. Love this restaurant, especially the mussels. It is my fourth visit here and will return against. Service was excellent! Our food was good but not extraordinary! A wonderful menu with a lot of choice! Great for vegetarians and meat or fish eaters alike. Friendly wait staff serving on 2 levels of the restaurant. Tastes and feels to me like I'm back in France! Moules & pommes frites are a special treat. The bar area on the 2nd floor is small, and does not overwhelm the bistro with noise. The drink menu is creative, as is the wine list. A feeling of intimacy exists, making it a great place for a birthday or other celebration. Art exhibits on the walls lend interest .... as does the dessert menu, which is always tempting. The location on the lower part of Market Street, close to the River Walk, enables us to take healthful walk after a great meal! 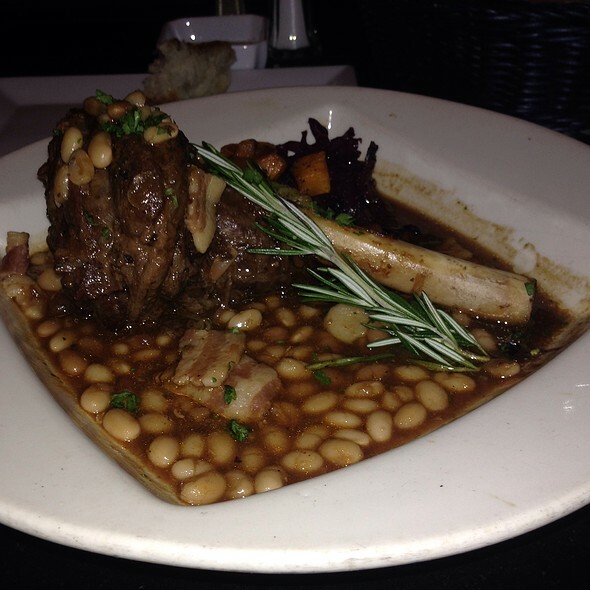 Caprice Bistro is our favorite In Wilmington.. the food and service are always excellent. Caprice Bistro is one of our favorite "special occasion" restaurants (although, if we lived closer, it could be our favorite every week spot). The ambiance is great and the staff is wonderful. ...and the food! 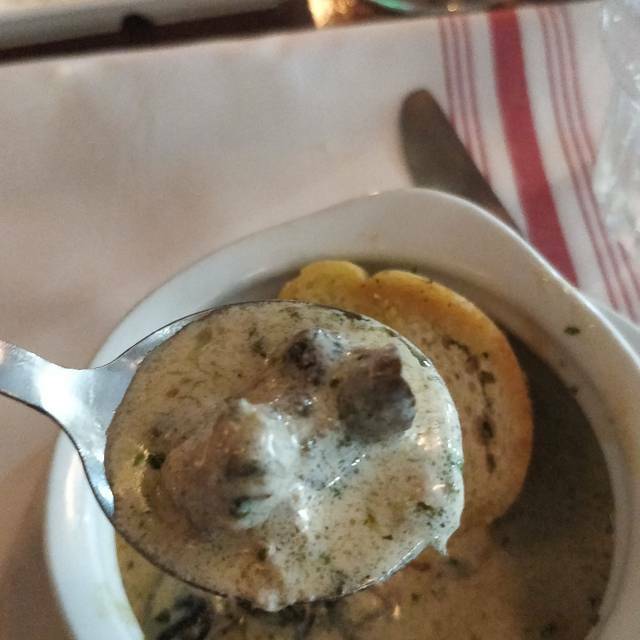 I started with the escargot and they brought more bread so that I could get every drop of the sauce. I love shellfish but, otherwise I'm not a great seafood lover, but I can't resist the Waterzooi. 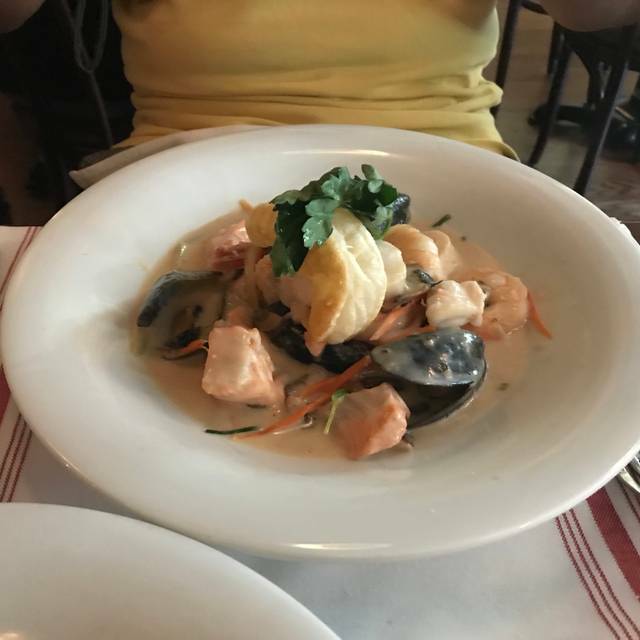 Shrimp, scallops, mussels, salmon and a very delicate white fish in a wonderful creme sauce. My wife had the trout and loved it. We'll be back (soon I hope). Thanks for a great time. Caprice Bistro is our go-to restaurant for friends and special occasions. We love the cozy ambiance, the service and, of course, the food. Excellent food and service. The Waterzooi was to die for. Definitely going back next time I’m in Wilmington. Fabulous food, portions were perfect. (Not too big) high quality. Small space but that mirrors the European experience. We were a party of 4, all of whom have eaten at Caprice in the past. We were delighted to see that nothing had changed...the food was fabulous, the wine exceptional, and the raspberry martini ordered by one of us must have been delicious because 2 more were ordered. Our server, a NH transplant, was attentive and fun, while maintaining a thoroughly professional manner. Our group ordered the mussels curry, Carolina mountain trout, waterzooi, and salmon au vert, and all were beautifully presented and yummy. Would highly recommend this bistro. The restaurant came highly recommended by our hotel staff and a good friend. The menu reflected a true French bistro. We had the special tapas trio, the pork cheeks, and the tomato tarte with goat cheese. My husband also had the steak Frites. We had a the floating island with a strawberry coulis and crème anglais for dessert. Everything was top notch and I would make it a point to return to Wilmington to dine at this restaurant. 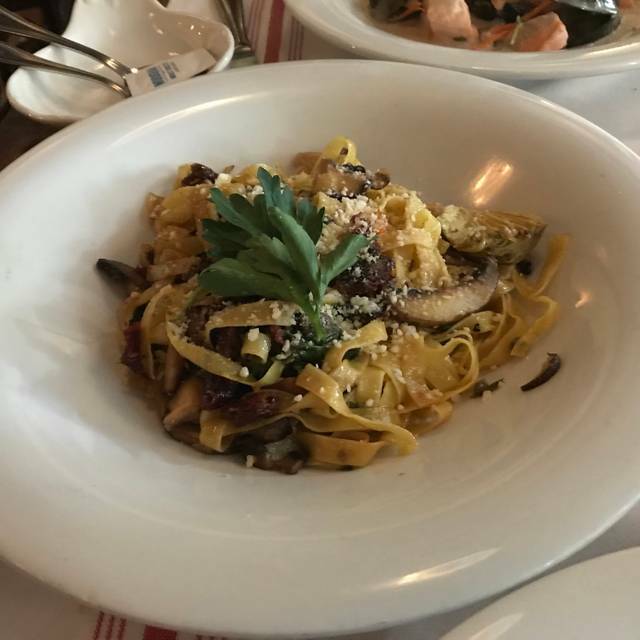 We had spent the previous week eating our way through great restaurants in Charleston and Savannah, but our dinner at Caprice was without a doubt the best. Merci and bravo! We hope to return again someday. Our favorite place. Couldn't get an upstairs table because we reserved too late but the food and service were as always terrific. Menú is tired, place needs refreshing, too. Service is hurried, especially upstairs. Drinks were weak and expensive. Had not been in a while. Decided to return, disappointed. The curry mussels were amazing! Service was stellar and the ambiance was romantic and cozy in nature. A cocktail upstairs in the really really cozy and comfortable lounge was such a treat. The manhattan was wonderful. Once seated downstairs, service was nicely attuned, very relaxed but thorough and considerate of my inquiries. The food was flawless and very satisfyingly traditional. I looked around and thought I saw a restaurant full of warmly happy people having a very refined dining experience. It all felt very human and warm. Nothing stuffly. Nothing stiff. It was a really good evening. So glad I chose Bistro Caprice. The reservations were made with special instructions and we received exactly what we asked for. The waitress was kind, our food came out quickly and the food tasted amazing. This occasion was my birthday. But I would not wait until a special occasion to visit Caprice Bistro. The wait staff was excellent. Drinks were very good. As far as the meals, I had the pork tenderloin dinner and my husband had a beef dinner and both meals were excellent. I would recommend this place for sure! It is quaint and quiet. Always an amazing meal. Beautiful presentation and flavorful entrees. Only small issue was the lack of information for the cheese plate when it was brought to the table. Cocktails were wonderful. Food was delicious. Service was outstanding! Caprice is a constant in the Wilmington food scene. There are favorite bistro staples always on the menu and new surprises on each visit. The food is meticulously prepared. We just spent our anniversary weekend in Wilmington with some fabulous restaurants selected. Caprice Bistro was a HUGE hit for us. My husband had a new fish (for him), Sheephead, and it was terrific. It was prepared in a delightful manner. I had a French beef entree that was delectable. My arugula salad was fresh and crisp. For dessert, chocolate mousse arrived with 3 flavors, from light to dark, were on the plate. I highly recommend! My husband and I enjoyed our dinner here. We were visiting Wilmington to celebrate our wedding anniversary and dinner at Caprice Bistro was delightful. While we did not receive the table we requested, the staff seated us at another table that was very nicely located. My wife and I shared the muscle appetizer and we both had the Waterzooi for the main course and loved every bit of it! Still my favorite restaurant!